This 2015 building is the epitome of modern architecture; plain-looking (or boring to some) while still being elegant in its simplicity of design and materiality. 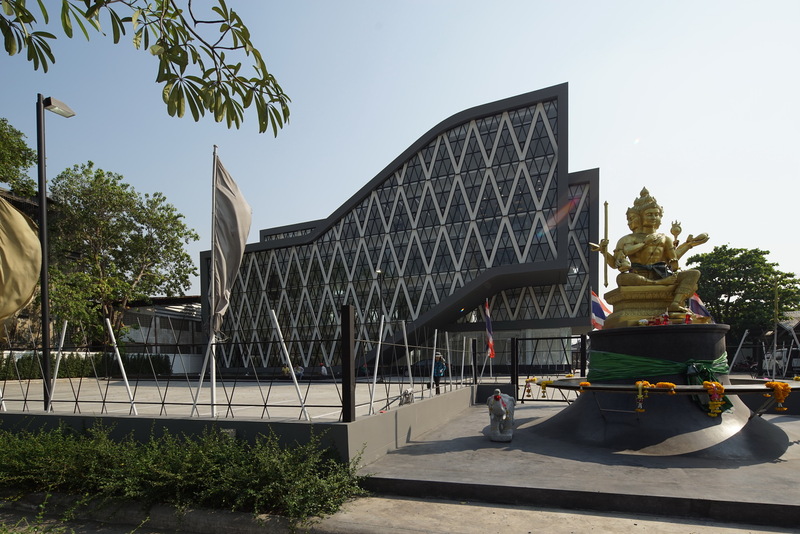 The Saengthai Rubber Headquarters building (which is basically in the form of two boxes wrapped with a black concrete frame) is located in front of a 50-year-old factory compound on Poochaosamingprai Road — say that five times fast — in Samut Prakan, Thailand, Bangkok’s historical industrial development area. The building’s expressive gesture is part of a strategy to use it as a symbolic gateway to the district. Those two boxes wrapped in black concrete forms are divided into separate spaces for each department of the company. In fact, the composition of two boxes being lifted and bent can be interpreted as a metaphor to the core business, expressing the elasticity (the main quality) of rubber. 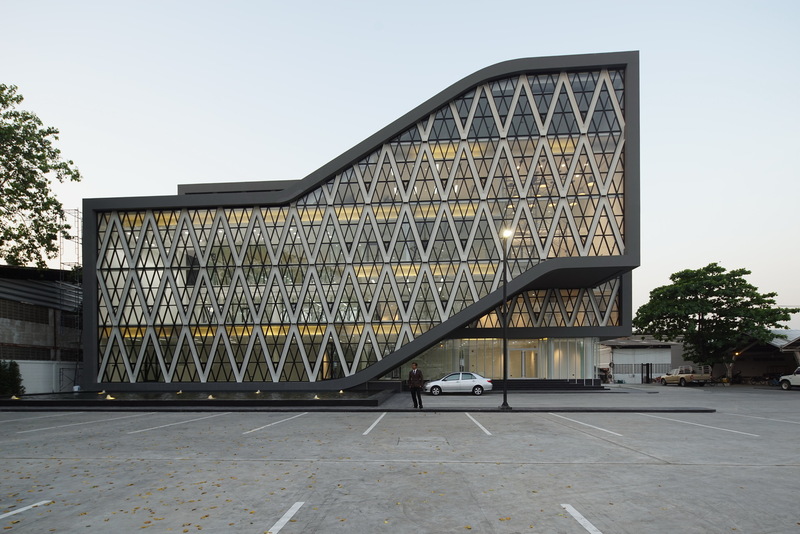 The structure’s center may look like a basic concrete column building with a flat slab concrete floor, however the structural loads are distributed to the steel triangular truss lattice pattern on the exterior facade that brings all of the weight to the ground. The all black exterior is offset by the mostly-white interiors, providing the clarity and futuristic appearance typical to modern architecture. 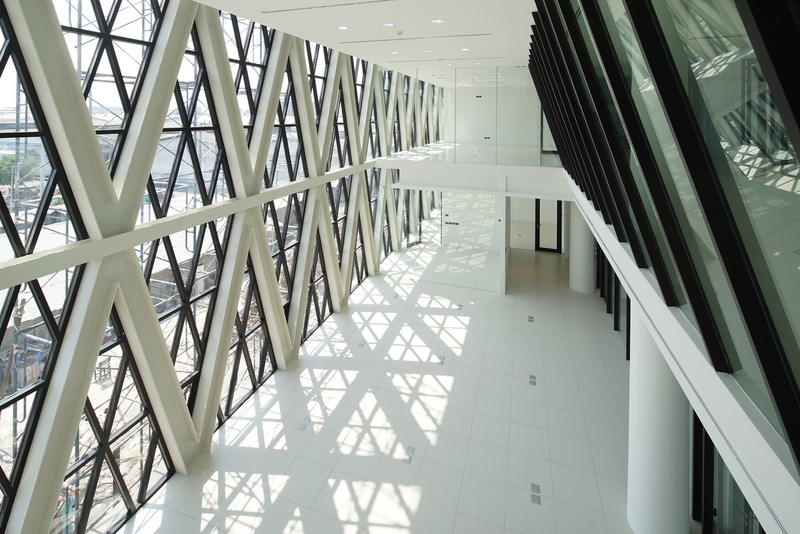 The interior space offers an interplay of double height work floor and an overhanging meeting room with north and south panoramic views, allowing inhabitants the visual clarity and openness to working atmosphere. Plus, the bent floor acts as seating steps for casual meeting spaces to promote a collaborative, friendly culture. Next Next post: Live Your Dream of Designing Pinball Tables with this Drawable Pinball Machine!